I was on a camping trip to the Southern Oregon coast and stopped in Bandon, Oregon, which is a very charming place for a variety of reasons. (More about this wonderful trip coming soon.) 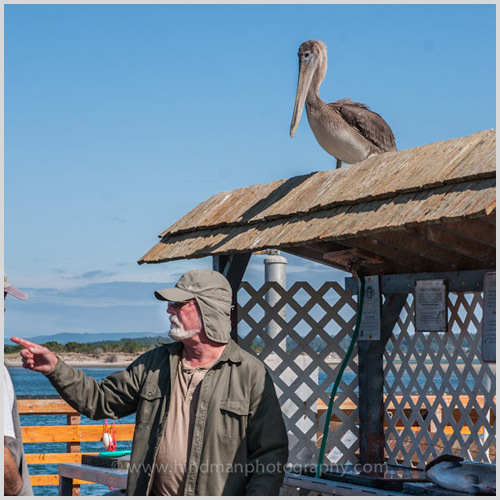 While sitting on the dock partaking in the highly recommended Fish and Chips, I watched an immature Brown Pelican, a very large bird, come circling low over the docks and land on a small shed. Surprisingly no one took much notice. I kept watching it as I finished my lunch, then wandered over to get a better look. The shed was a fish cleaning station. 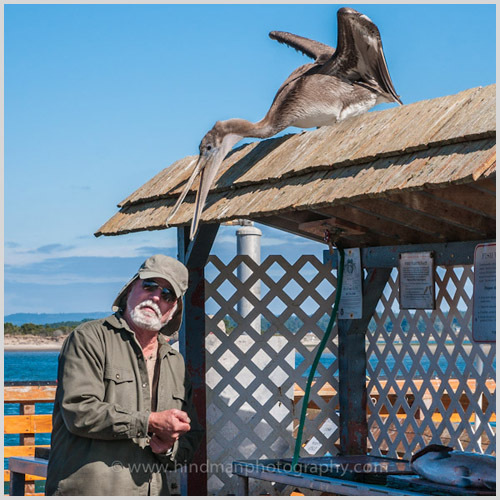 Salmon season had just opened and this Pelican decided to let others do her fishing for her. 26 Sep	This entry was published on September 26, 2012 at 07:33. 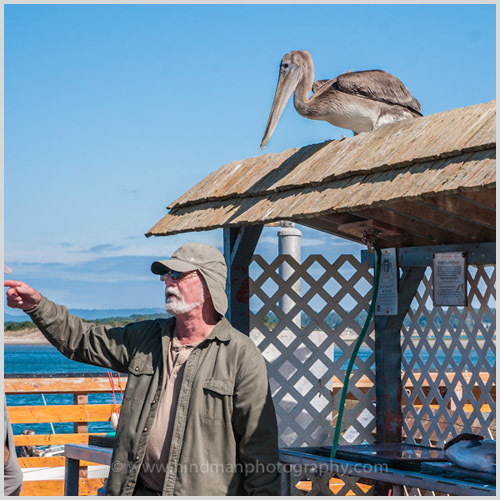 It’s filed under Birds, Coast, Nature, Pacific Northwest and tagged Bandon, bird, Brown Pelican, humor, natural history, Oregon, Oregon coast, Pacific Coast, Pelecanus occidentalis, salmon. Bookmark the permalink. Follow any comments here with the RSS feed for this post. Sent from my iPhone with care.